NASA/JHUAPL/SwRI/Steve GribbenAn illustration of NASA’s New Horizons probe visiting 2014 MU69, a Kuiper Belt object that exists about 1 billion miles beyond Pluto. NASA’s New Horizons probe, which visited Pluto in 2015, recently woke up from hibernation. 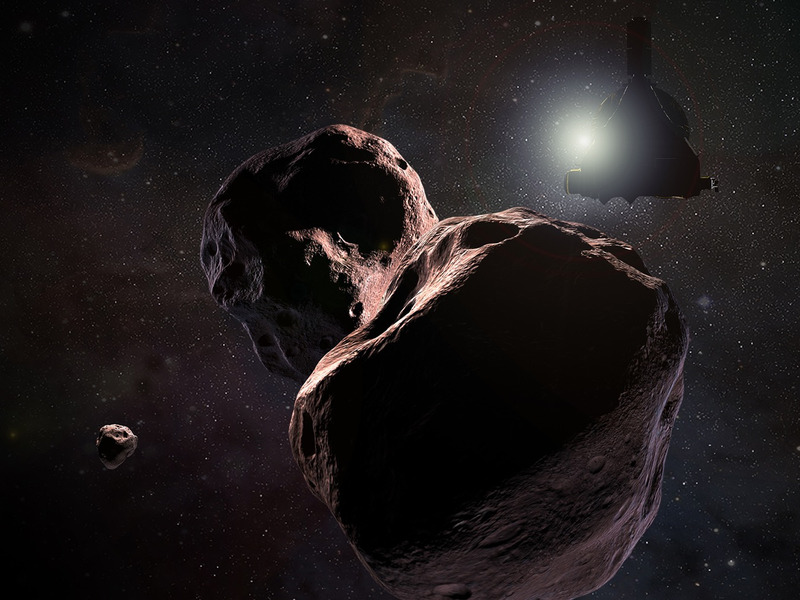 Scientists are preparing New Horizons to visit a mysterious, peanut-shaped frozen rock called Ultima Thule. The probe is closing in, going 760,000 miles a day, but won’t arrive until January 1, 2019. If all goes well, Ultima Thule will be the farthest object humanity has ever visited. After more than six months of slumber, NASA’s nuclear-powered New Horizons probe is awake and preparing for the next leg of its incredible journey. New Horizons is about 1 billion miles beyond Pluto, which it visited in July 2015. Researchers put the spacecraft to sleep in December to save energy, but on Tuesday, they woke up the robot to prepare for an unprecedented mission. Overnight on December 31, 2018 – New Year’s Eve – New Horizons will fly by, study, and photograph a mysterious object called Ultima Thule. Researchers aren’t quite sure of Ultima Thule’s exact dimensions. Because it’s so dark, at roughly 4 billion miles away, all they have to go on is the shadow it casts in starlight on New Horizon’s camera. However, Ultima Thule – formally known to astronomers as (486958) 2014 MU69, a mouthful of a name – appears to be a peanut-shaped rock. NASA suspects it’s about the size of a metropolis, up to 20 miles long and 12 miles wide. 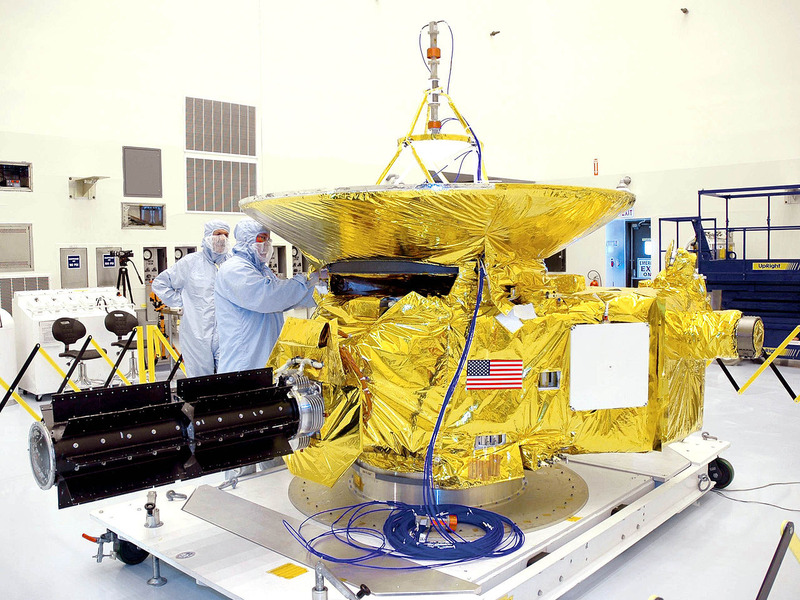 New Horizons may maintain such a record for decades to come, since no other probe is ready to make such a journey. In fact, it took New Horizons about nine years of moving at more than 35,000 mph to reach Pluto and the Kuiper Belt, a colossal region beyond Neptune that contains scattered, frozen leftovers from the solar system’s formation. The zone might also harbour an as-yet-undiscovered frozen super-Earth. New Horizons is closing in on Ultima Thule at a rate of 760,000 miles a day. After zooming past the rock on New Year’s Day, the probe will have vital clues about how our solar system came to be.